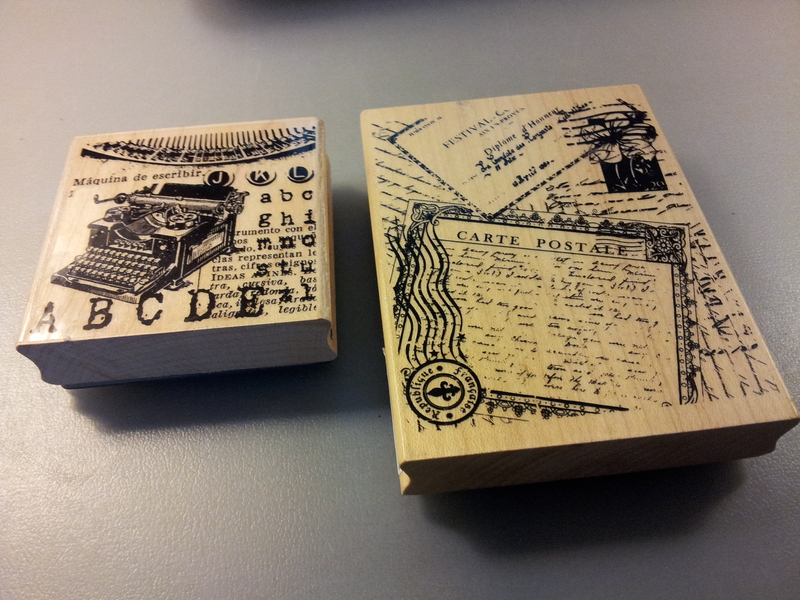 The smaller stamp on the left is called Typewriter Keys and is by Stampendous. 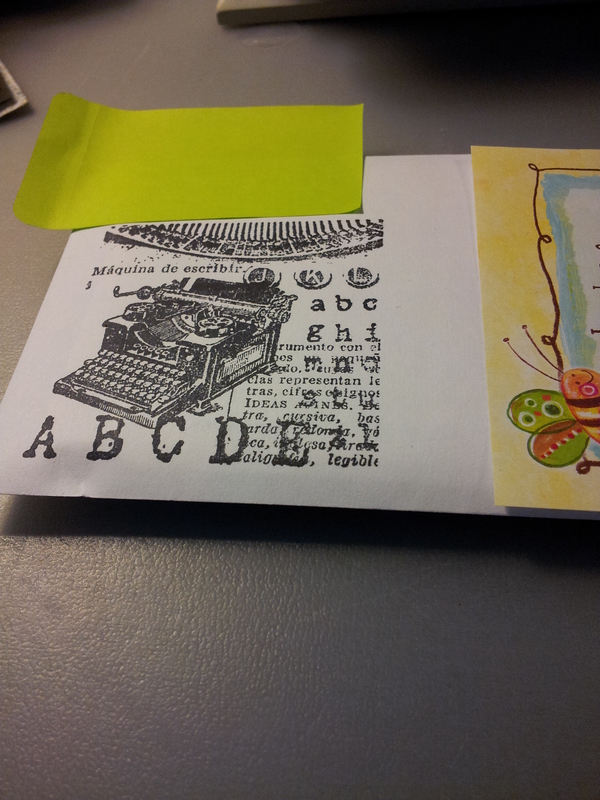 I can’t find a name for the stamp on the right, but it is by Recollections. It was on sale for $7.99 so I couldn’t apply my coupon, but the Typewriter Keys was $16.99 so I got 40% off that. 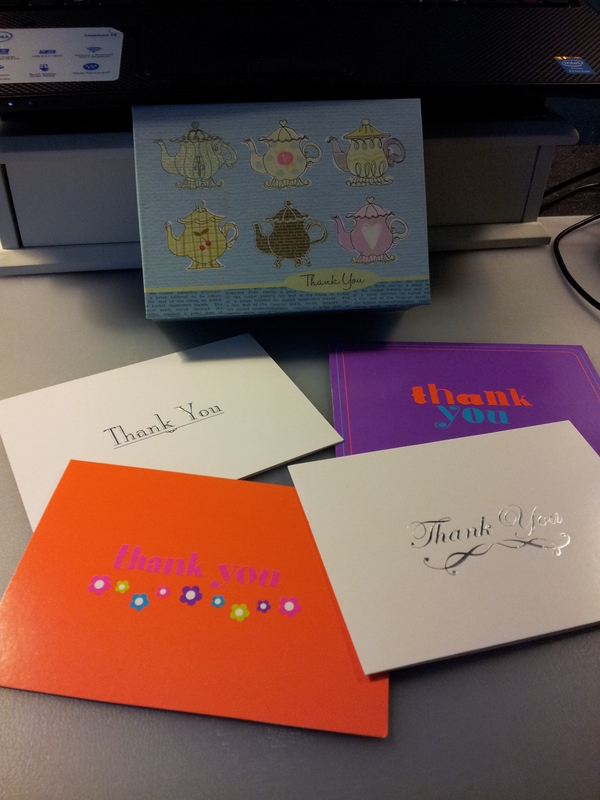 I applied them today to a letter for one of my pen pals. 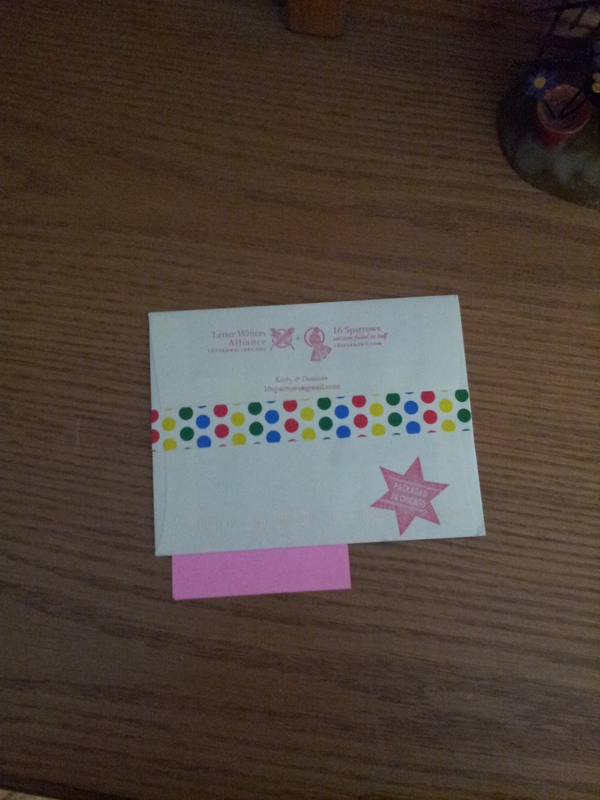 The front of the letter. 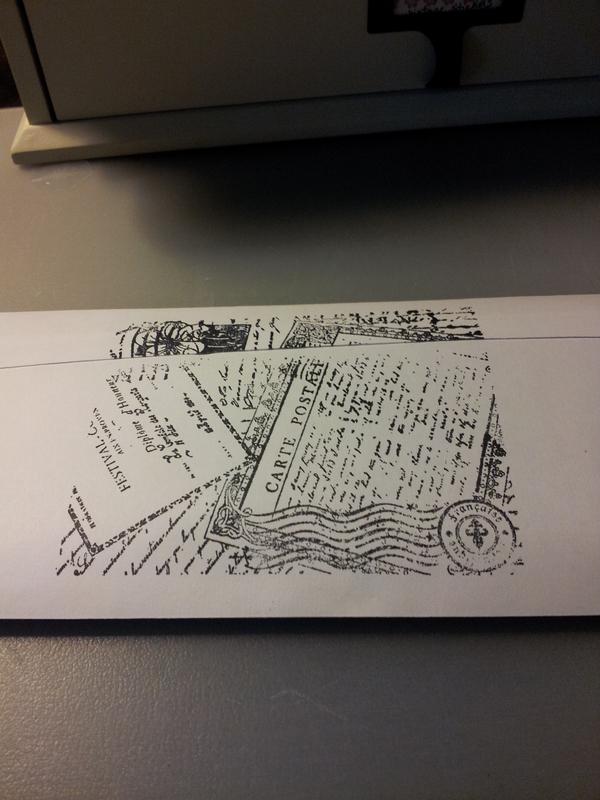 The back of the letter. I really like the way they’ve turned out. 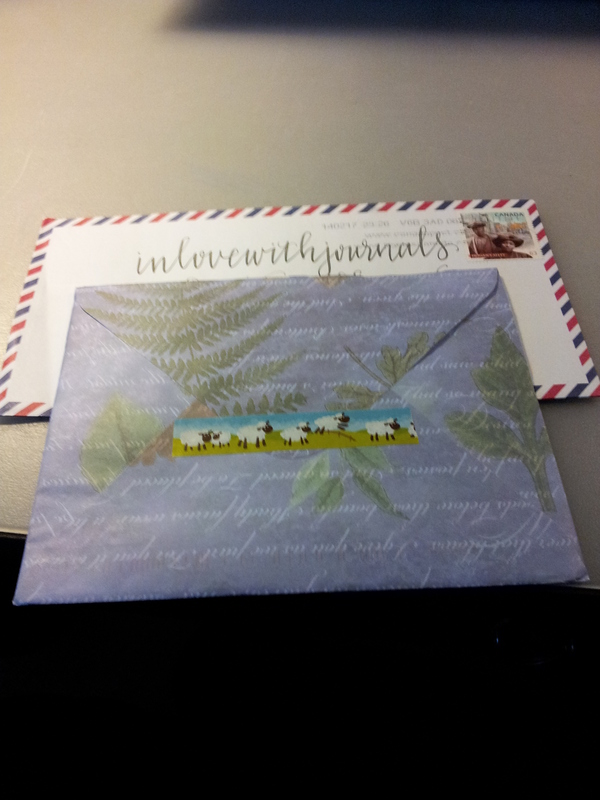 I hope my pen pal likes it too! I also found these decorative boxes at Michael’s, on sale for 40% off. They are by Punch Studio, and I have some beautiful notepaper by them already, so these boxes fit right in with my collection. And finally I was updating my Book Journal recently; I’ve been really struggling to read over the last two months, not sure why. 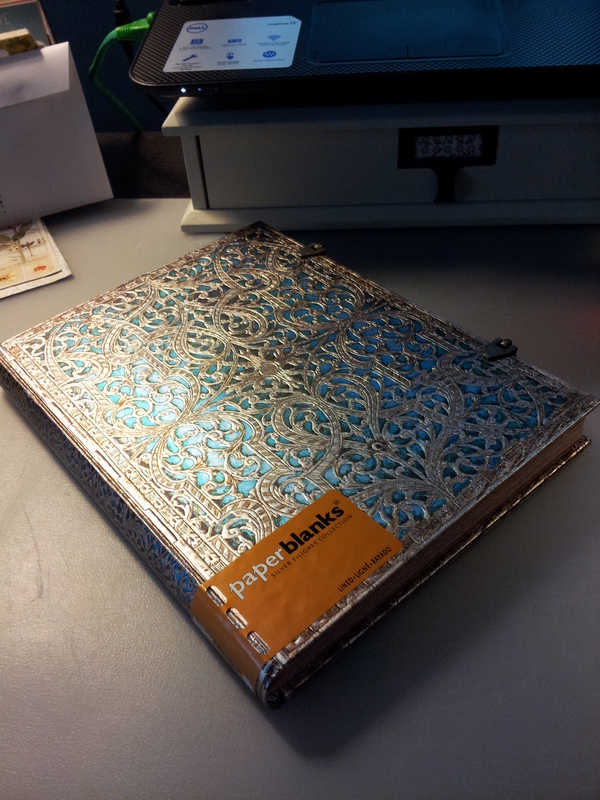 But I just finished On a Personal Note by Rita MacNeil and I was reaching for my Book Journal to update, when I realized I haven’t shared my Maya Blue Ultra journal in the Silver Filigree Collection by Paperblanks yet. Here it is on the shelf, just waiting to be introduced! This is from the same family as the Reading Journal, only in blue. I saw it online last year at a discount and I had to order it. All I could think was how great the Bleu Pervenche ink would look in it; it’s the perfect match to the blue. 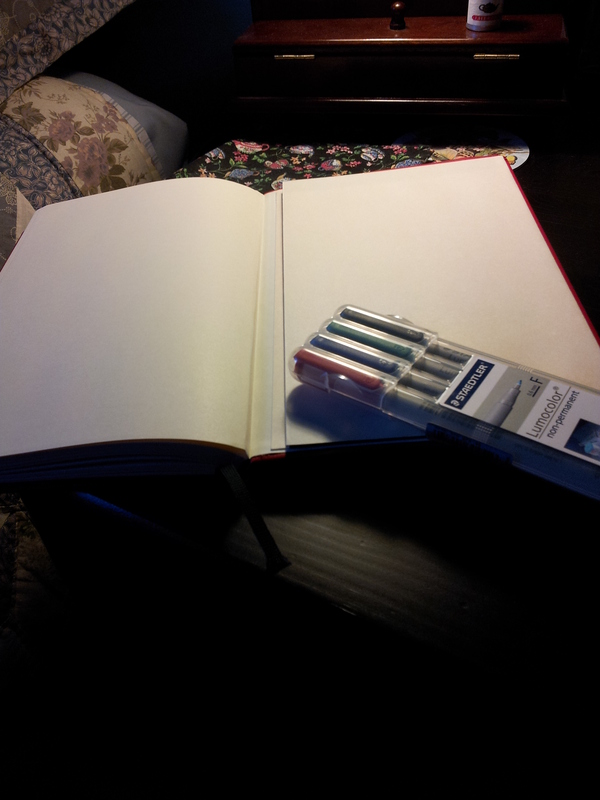 I want to start journalling in it right away, but I’ve chosen the Embossed Italian Journal as my Volume 2 for 2014. Sigh. I’m not so happy with the Italian. 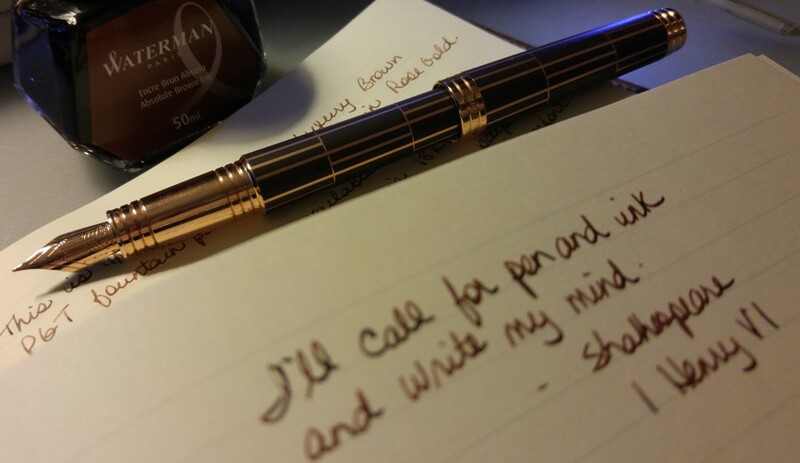 The paper quality is not fountain pen friendly, which means I’m limited as to which pens I can use in it. 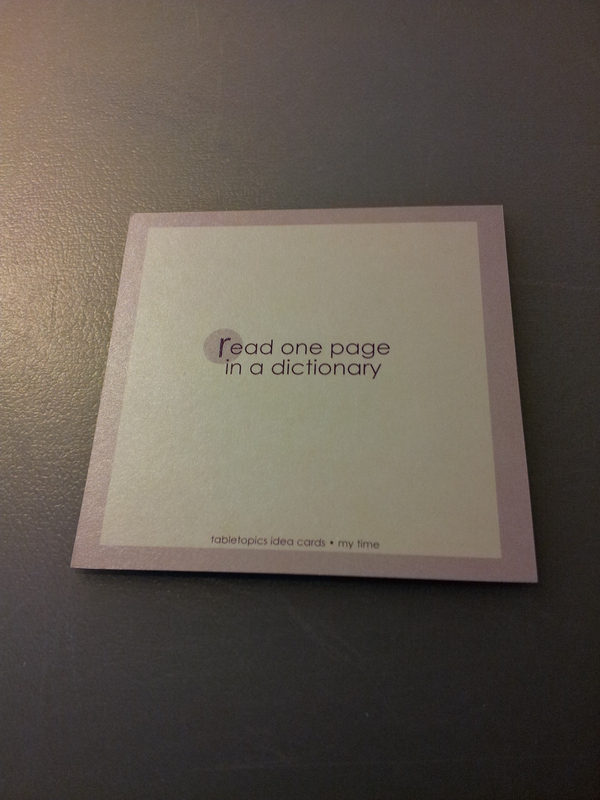 And it’s very floppy and hard to write in and doesn’t have a ribbon…sorry I don’t mean to complain. 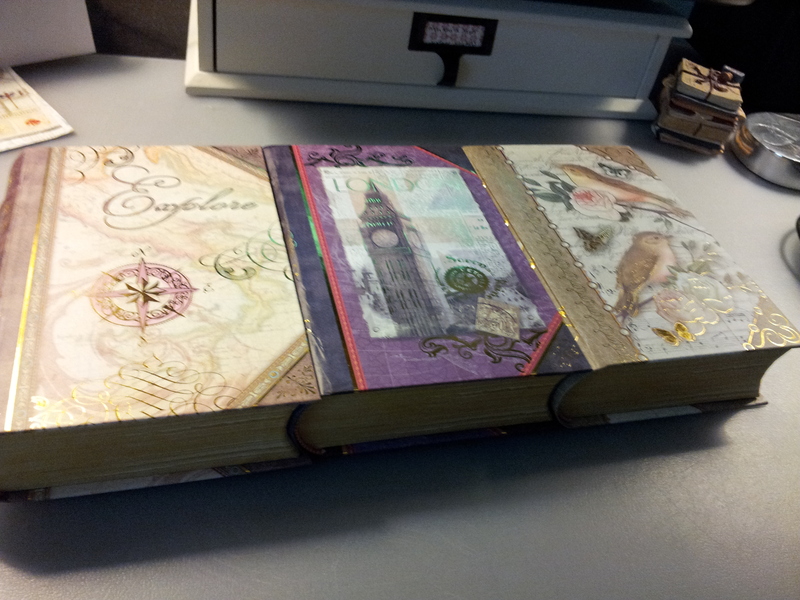 It’s a beautiful journal but the guts of it are just not my preference. 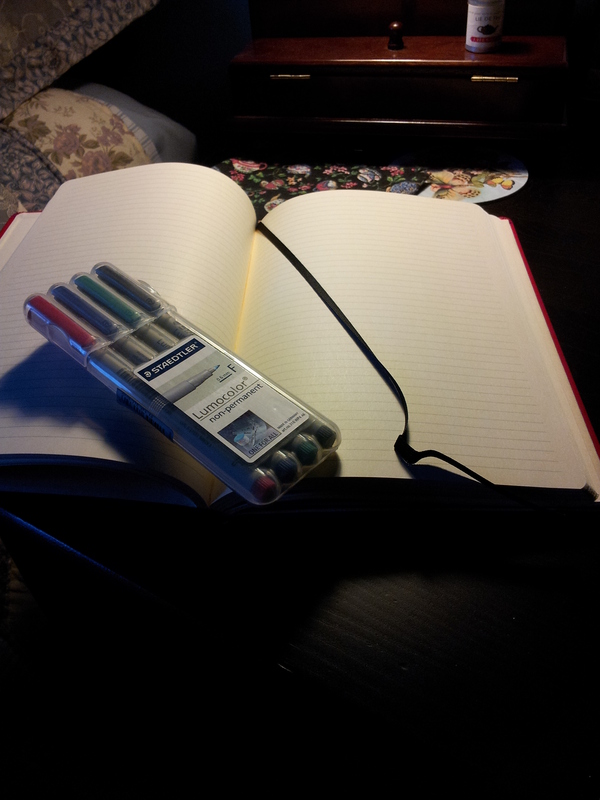 I hate to abandon a journal that’s barely been started, especially since it was a gift, but….further bulletins as events warrant. 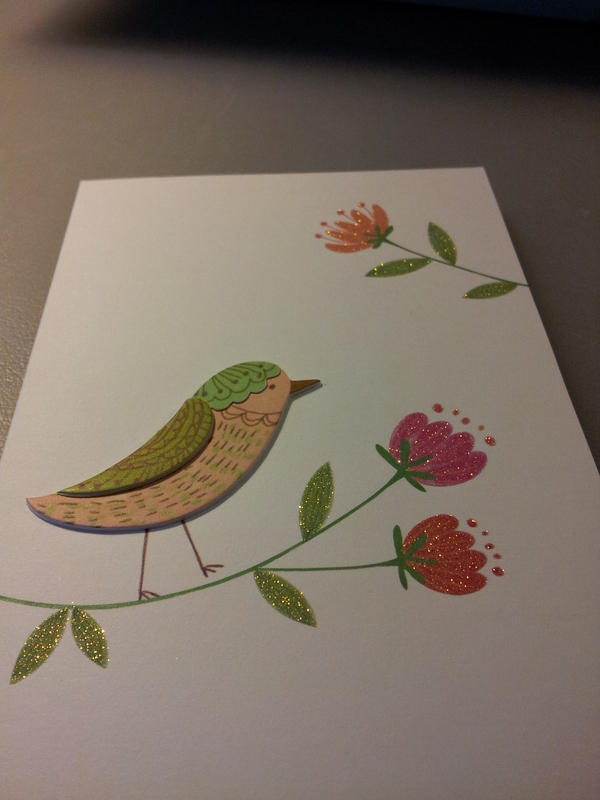 I must have letter writing on the brain because I fell in love with these art cards today, from Good Nature Publishing. They are “Pleasures” fine art cards by Peter Nevins. 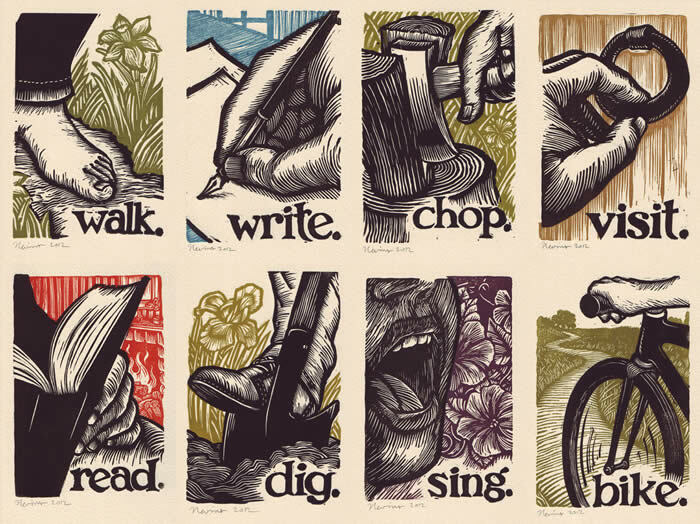 I love them all but write and read are my favorites. You can get them in poster size too, which seems a better deal; $12 for a poster as opposed to $40 for 8 art cards plus envelopes. So beautiful! 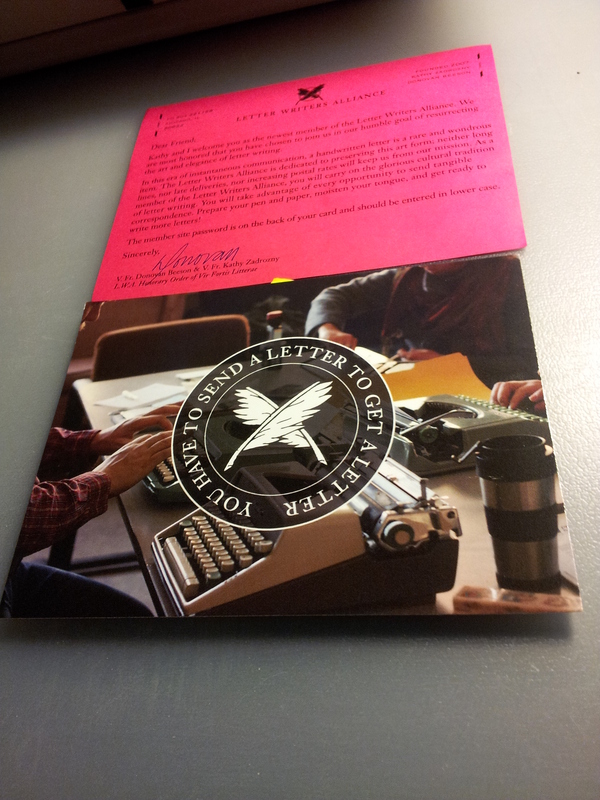 My Letter Writers Alliance membership package arrived today. Sorry about the quality of the picture. I was so excited I took pictures as soon as I got home and saw it on the hall table. Love the washi tape touch. Inside were my membership card, an introduction to the Alliance, my badge, and a postcard. Taped to the back of the postcard is my membership card (grey) and my LWA badge. I still haven’t decided where to put it but I’m leaning toward my purple Fossil messenger bag. I think it would look very good against the purple. And this is the front of the postcard. So I was able to log in to the members area no problem, and they have some really neat stuff available to purchase, and also to download. And they want to match me up with at least two pen pals; all I have to do is send them a letter (of course) and answer a few questions. I really want to get in touch with other Canadian members. Their membership map doesn’t indicate Canadian membership but their marketing does so I’m going to ask about that. And that’s about it. I think this is going to be lots of fun. Stay tuned! 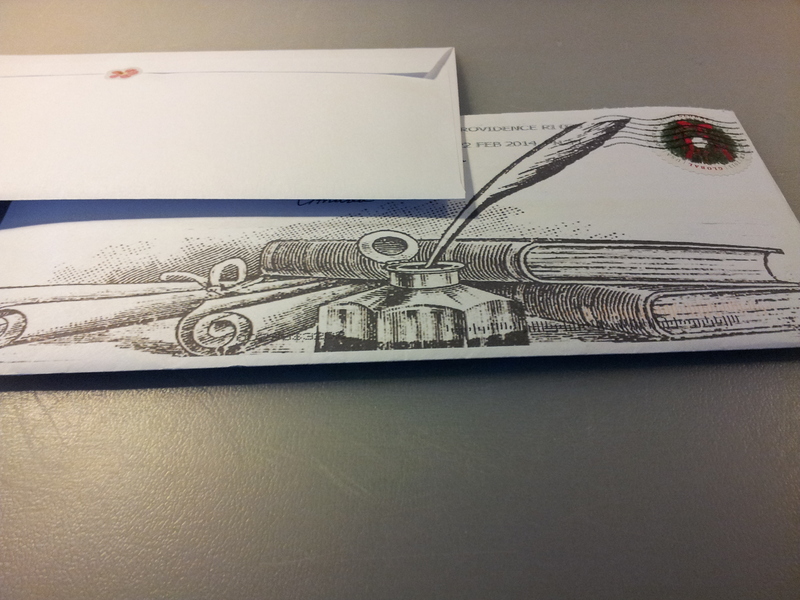 This week I joined the Letter Writers Alliance, a member-based organization dedicated to keeping the art of letter writing alive. The one-time membership fee is only $5.00. They say 85% of their members are in the US but they also say that of the remaining international members, 30% of those are in Canada. 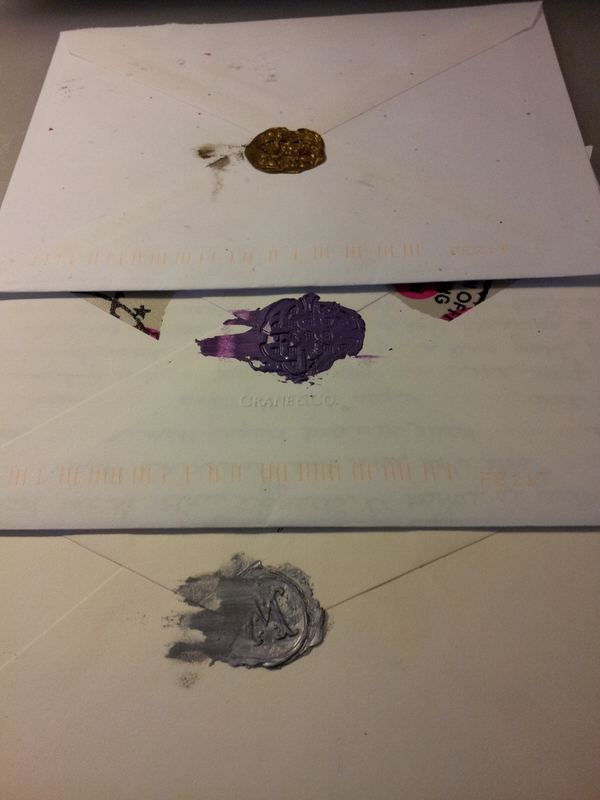 I love the idea of a Letter Writing Social, along the same lines as I talked about in my post of December 17, 2012: The Regional Assembly of Text and their letter writing evenings. 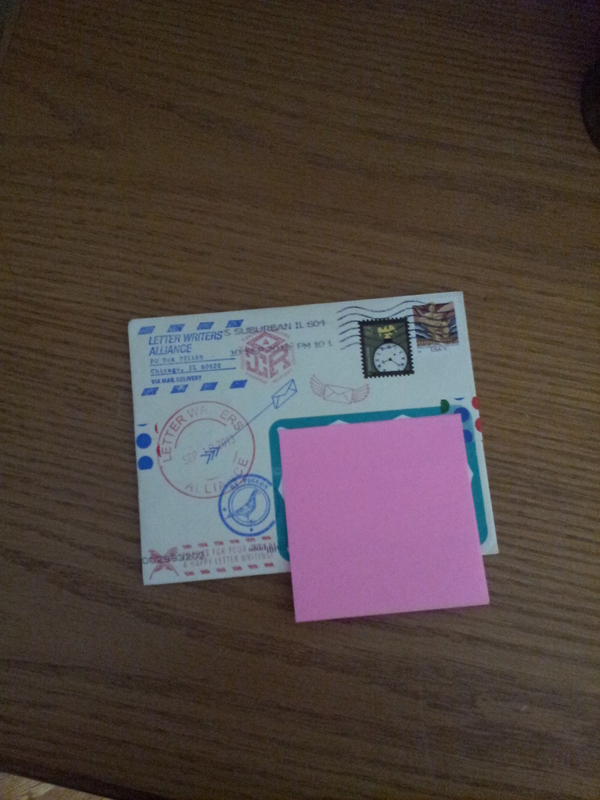 The idea of a Pen Pal Swap is interesting. And those plastic pigeons – too funny! 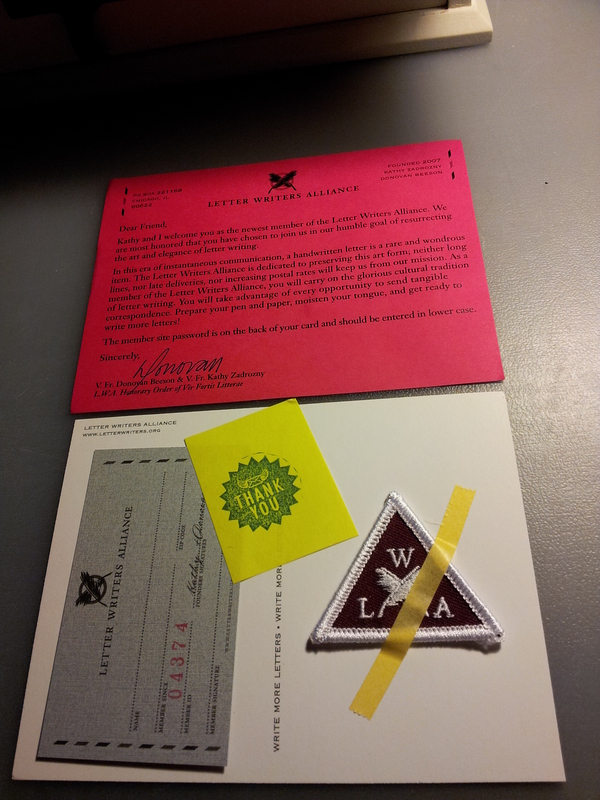 But to be honest it was the LWA badge that convinced me. I was a Brownie and a Girl Guide ya know. 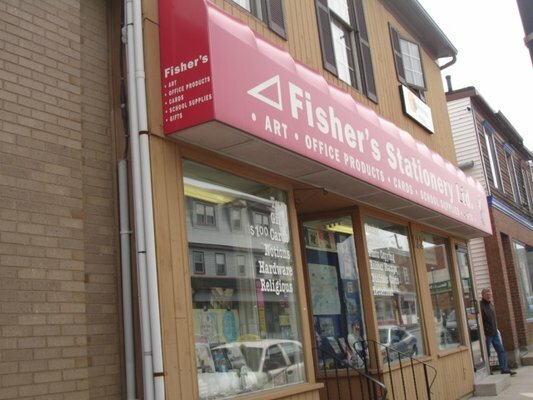 On my recent trip to NS I found myself in Fisher’s Stationery in Dartmouth. It felt like stepping back in time to 1959. An elderly lady sat behind the counter, eating her lunch. She asked me if I was looking for anything in particular and I explained I was just looking. The shop is a wonder of old and new. There are countless stationery items like file folders and ledger books but no Moleskine or Hello Kitty items in sight. It was glorious. 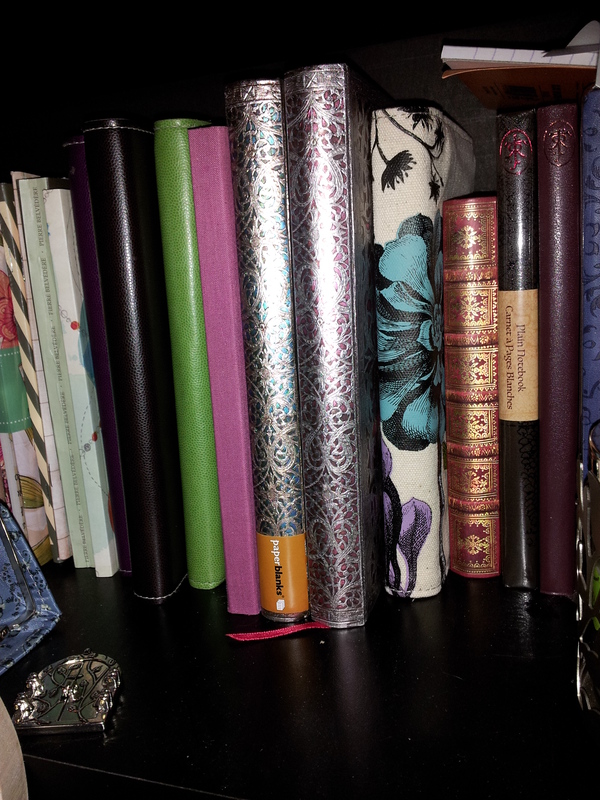 I must have been browsing for over an hour when I came upon a small selection of Quo Vadis planners and notebooks. 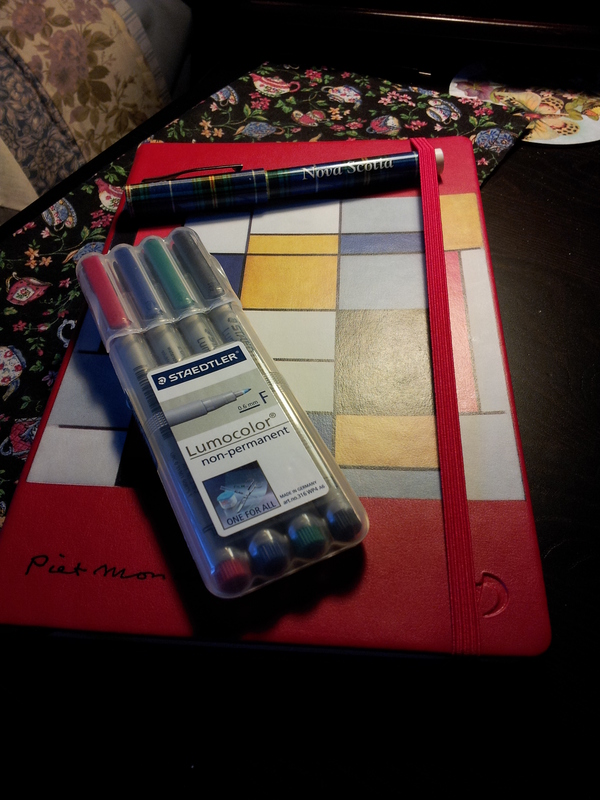 I had already chosen a Nova Scotia ballpoint pen and a set of 4 Staedtler Lumocolor markers. I chose this ruled leather-like Piet Mondrian notebook, 16 x 24 cm, in the Artist series. It features his painting Composition A on the cover. Mondrian was a Dutch painter who invented a style called Neo-Plasticism, which consists of a white background with a grid of black lines and primary colours. Quo Vadis talks about their Artists series here, but fails to mention Mondrian. 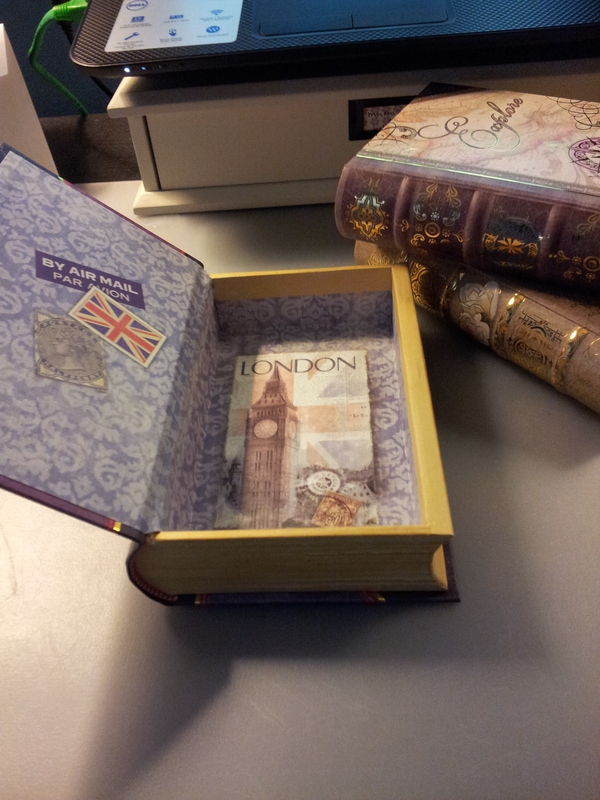 The paper weight is 90g and is finished with vellum which makes it extremely soft to the touch. It also takes various inks very well. Click here to read more about Quo Vadis paper. As you can see the Sharpie marker showed quite a bit of bleedthrough, and the Lumocolor fine marker showed a bit. 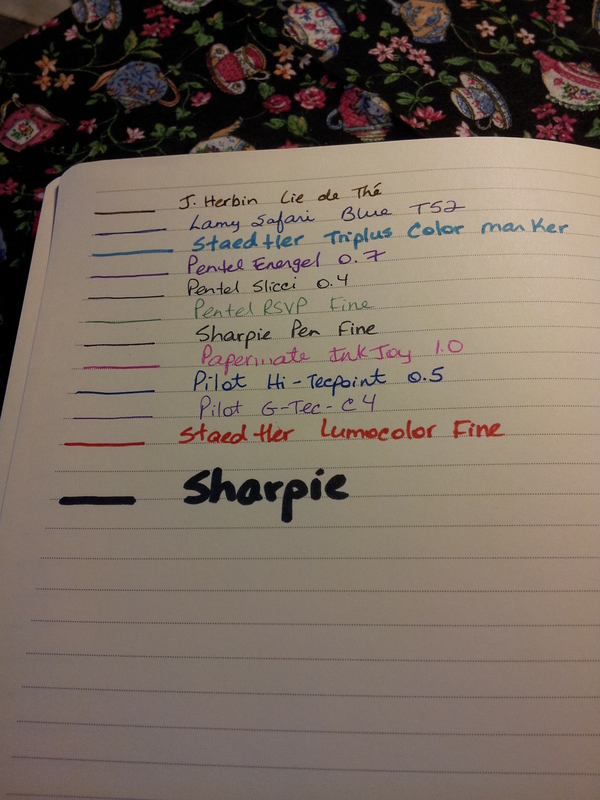 The rest of the inks tested, even the fountain pen ink, showed no bleedthrough at all. 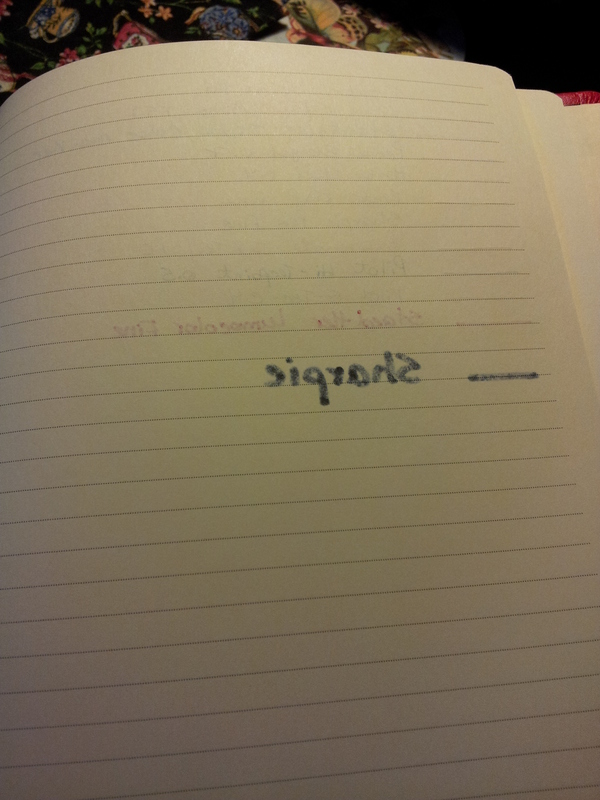 The notebook doesn’t lie flat initially but would do so through extended use. There is a pocket on the inside back cover. 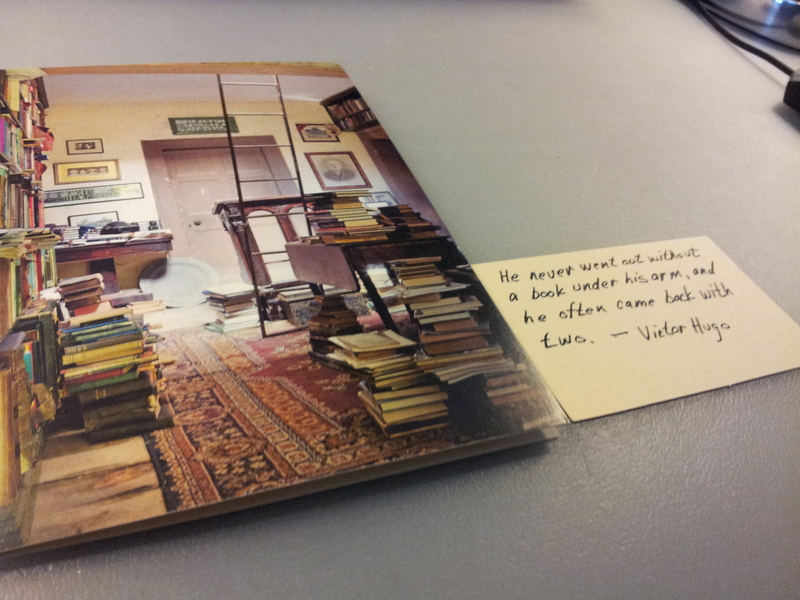 I really enjoyed my trip to Fisher’s Stationery. I spoke with the proprietor for a good long time after I had made my purchases. She was very interested in where I was travelling from and my impressions of her city. She is a staunch Dartmouthian and resents the fact that they are always lumped in with Halifax (the area is known as the Halifax Regional Municipality). I could have stayed there all day. Click here to see more photos of Gloria (the proprietor), her family and her wonderful store. I came across an excellent article on Bernard Maisner in the November 2012 issue of Martha Stewart Living, and I’m delighted to share it with you here. 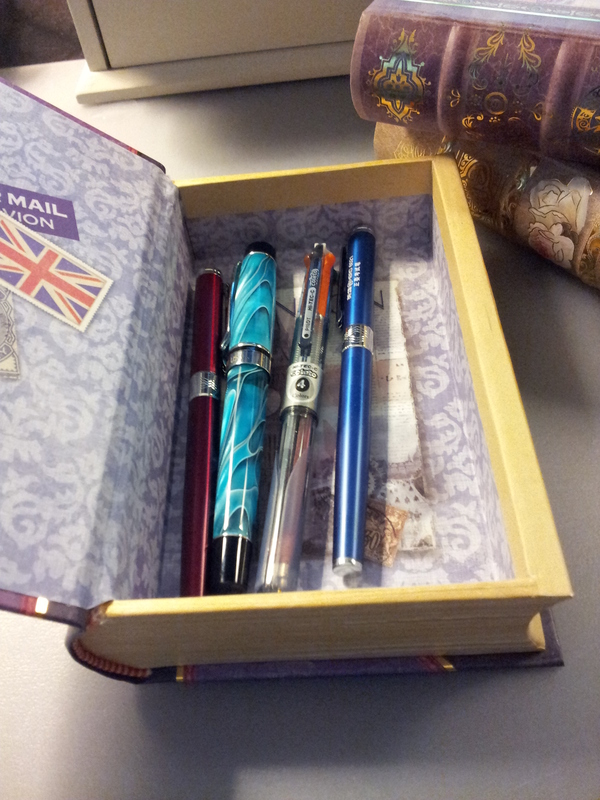 Maisner has some beautiful writing instruments and inkwells. You can also check out his calligraphy services and stationery on his website. Another reason to love Vancouver! I love love love this store and I’ve never even been there! Will definitely go on my next trip. Imagine organizing a letter-writing evening; reminds me of the Italian ladies in Letters to Juliet by Lise and Ceil Friedman. And words fail me when I look at the lowercase reading room. Bliss…pure bliss. Be sure to read hover your mouse over each element of their coat of arms, especially the cat named Method. Very tempted by the online shop – check out the Good Ideas Journal!! And the Address Box!! Excuse me while I book the next flight to Vancouver…..